This is my relationship with the restaurant “empire” of Kim Bartmann—it started way before I had ever heard of her. In 1992, my teenage daughter came back to live with me for her last year of high school. That year and the next two while she started at the U of M and worked on finding herself, she practically lived at Cafe Wyrd, Bartmann’s first business. It probably shaped her somewhat, and shaped our relationship, which is pretty solid, considering. When I came back here, to my own surprise, from a 13-year sojourn in England, the space where Cafe Wyrd had been was Barbette, and the favorite restaurant of a number of friends. Since then, I have visited more than half of Bartmann’s restaurants once, and Barbette and Bryant-Lake Bowl a handful of times. 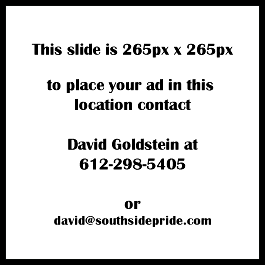 (Bartmann recently sold BLB to an employee.) 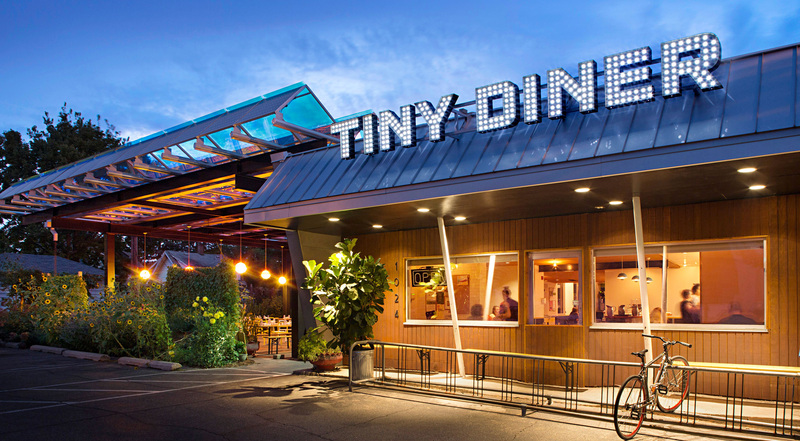 And then there’s Tiny Diner. Next to Modern Times, I would consider Tiny Diner my own home away from home. I don’t hang out with a posse there, like my daughter did at Cafe Wyrd, discussing the f’ed up world and how we’re going to save it, but I have had a few breakfast meetings, lunch meetings, retirement parties and TGIFs there, as well as a great meal with my ex-chef baby brother and my globe-trotting foodie little sister. (They were hella impressed.) And scores of solitary breakfasts, reading on my Kindle, doing Sudokus, or the Nation crossword puzzle. I love that I have a diner near me that includes an herb garden, a solar patio, and a refuge for solitary bees. It’s a bit of a challenge to review Tiny Diner based on several years of patronage, not least because the menu is often changing. There are a few things that persist—the basic breakfast, the house-made sodas, and fortunately, the incomparable kale salad. They started out changing the menu—was it monthly or quarterly?—anyway, on some regular cycle, to showcase the hometown comfort food of various American cities. One of the first was some southern city or other, and they put grits on the breakfast menu, which stuck. It seems that lately, the menu is settling down somewhat. But it doesn’t do to get too attached to any one food, because it might disappear, maybe just for hiatus, but maybe forever. The latest menu says they will get back to the featured city deal this spring and invites patrons to suggest cities they can showcase or items they’d like to see. They don’t currently have a chili, or a pot pie, on the menu, and this is something friends and family have praised in the past, so that’s a thought. They have already done New Orleans but honestly one of my favorite comfort foods in the world is the oyster Po’ Boy, so maybe I’ll request that. (They had a soft-shell crab Po’ Boy for New Orleans, and that was delish.) I have to say, though, that through whatever twisty turns their menu went, I never COULDN’T find something delicious to eat there. In addition to food, they serve my favorite cocktail in the world: the low-alcohol but incredibly tasty Nouveau Fashioned, a take on an Old Fashioned with local bitters and subbing an exotic fortified wine for the Bourbon. (If TD is applying for a liquor license with the new rules they lobbied for, I hope they’ll keep their wine-based cocktails, because I love them.) And there are the farmers markets in the warm months, and clever programs and classes all year round. I learned how to grow mushrooms, and all about Ayurvedic Healing. miso-mushroom gravy and eggs, and the breakfast burrito, which is hash-browns rather than rice based, and contains both chorizo and bacon. As I mentioned before, you can get grits as an option instead of hash-browns with the omelettes and other egg dishes. And they make their own biscuits, which are uneven in quality, but range from phenomenally good to OK, but still better than most places, so that’s fine. The coffee choices, not surprisingly, are excellent. They make excellent use of a fine smoked salmon, either with a bagel and cream cheese, or in an omelette, with cream cheese and scallion. There is also a cheap and cheerful standard on the menu called Green Onion Scramble which is just the cream cheese and scallion in nice creamy, structureless eggs. The one gap is in the sweet stuff category, which probably reflects the health-conscious aspect of the Bartmann Group. The only sweet breakfast dishes are basic pancakes, house-made granola, and a yogurt fruit bowl. They used to occasionally have muffins and such but you could tell their heart wasn’t in it. For dinner the current menu offers four salads, five burgers (two vegetarian), four other sandwiches, and a kimchi hot dog, and seven further entrees, two of which are vegan. There is always a macrobiotic (ish) rice bowl, and lately there has been an Asian-influenced noodle salad type dish. The Mac and Cheese is the best, bacon optional. Fish and Chips are close to a standard offering, and are beautifully done. Other entrees that have rotated through have included meatloaf, various versions of fried chicken, chicken pot pie, shrimp and grits, “red flannel” hash, and beef stew. That’s just a sampling though. I could riff on any number of the entrees, but instead I want to talk kale salad. Tiny Diner’s was the first restaurant kale salad I had, and it remained the gold standard for me. Up until a couple of months ago, it always had pistachios, an extra green, often shaved Brussels sprouts, a lemony vinaigrette, and shredded parmesan. The pairing of slightly wilted kale, a sharp acid, and roasted pistachios was such a revelation to me that I decided to never have or make a kale salad any other way. In fact, I have been known to say, “I can’t make kale salad, I’m out of pistachios.” No joke. My usual homemade kale salad is an homage to Tiny Diner. (By the way, how many restaurant reviewers offer you recipes as well? Not enough, right?) It usually includes a small amount of kimchi, and a tahini based dressing, and I like to make the extra green a red sometimes by adding thinly sliced radicchio. Sometimes I put in soaked raisins. But always pistachios. So I was shocked to see, after five years, they are now going with slivered almonds. Maybe I should trust them and try it. Who knows, it might be another epiphany.